From next year Nintendo plans to expand into emerging markets with completely new gaming devices, reports Bloomberg. Yes, this doesn't just mean cheaper versions of the Wii, Wii U or its handhelds but completely new games consoles. These ideas emerge hot on the heels of the posting of a Q4 net loss and the third annual loss reported in three years. Also recently we have heard that China has lifted its ban on games consoles which was in place for the previous 13 years. As reported by the Guardian, sales of current Nintendo games hardware isn't doing that well. In January, Nintendo reduced its Wii U sales estimates for the year from 9 million to 2.8 million. Likewise the 3DS had its sales estimates cut, for the financial year that has just ended, from 18 million to 13.5 million. Nintendo managed to undershoot both these figures and has published sales of 2.72 million Wii Us and 12.24 million 3DS consoles for the last year. The result is that Nintendo has announced a disappointing annual loss of $229 million. 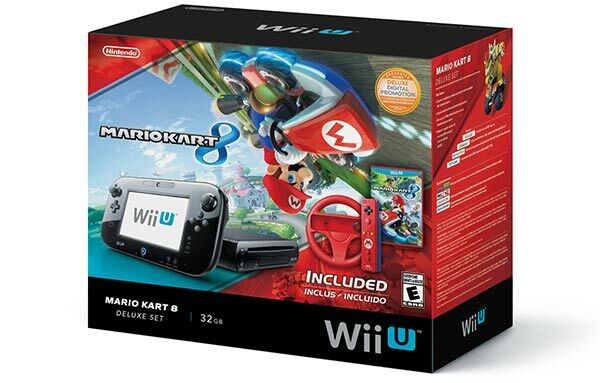 The Wii U, which has been on the market for well over a year has a cumulative sales figure of 6.17 million units. Sony has overtaken that total, reaching seven million PS4s sold, in about five months. "We want to make new things, with new thinking rather than a cheaper version of what we currently have," Nintendo President Satoru Iwata told Bloomberg reporters in Tokyo earlier today. "The product and price balance must be made from scratch." With China recently lifting its video game console ban perhaps Nintendo has it specifically in mind for the release of such a new console system. Iwata confirmed Nintendo is studying the Chinese regulations for entry to that market. Also planned are some game character figurines with NFC for game information transfer. The Wii U controller has an NFC reader built-in. Upcoming games are aiming to make more compelling use of the unique controller including its display and NFC figurine interactivity. Looking at mobile Nintendo still doesn't want to get into the smartphone gaming arena in anything but a marginal way. An example of what will happen on mobiles is a new companion app which will be launched with Mario Kart 8 on the Wii U at the end of this month. App users will be able to "to track progress and watch videos of games played by friends," via this app, reports Bloomberg. Surely they are missing a trick still with mobile gaming. They own some pretty good IP that surely would be a good fit to start making mobile games from. I know the typical cost of a smartphone app is much less than they would sell a 3DS game for but pretty soon on this path no one will be buying them anyway. Feels like they can't adapt out of the mindset that they want total control of the ecosystem (Harware, Software, Delivery of content). Oh well, 1 step closer to mario on every platform then! +1 on this. There was an article about the Ara modular phone recently and I slapped in a comment that this would be a natural place for Nintendo to get their hooks into. I'll go further, maybe they need to think about some kind of gaming controller add on for selected Android phones and iOS. Like Kanoe I just can't see any good reason why Nintendo couldn't port some of their older titles to Android/iOS/WindowsPhone and get some much needed cash back. As someone said to me the other day, they thought Nintendo had gone under, so mobile apps would be a good way to get the Nintendo brand out there. After all, if “emerging markets” are to save them then that's also where the smartphone is becoming the “must have” item! Nintendo's solution to nobody buying their underpowered under-marketed bull****? Sell new even more underpowered bull**** to China. Nintendo need to stop ****ing about and instigate mandatory PS3/PS4/360/Bone time for every single one of their designers. Make them actually acknowledge how badly they've ****ed up everything to do with the Internet, compared to the competition - apparently not a single designer on the Wii U online owns a competitor's console or used any features from the competition as design cues. To top it all off they just keep churning out loads of similar Mario and Zelda games. How many times has Super Mario brothers been rehashed now for each console or handheld generation. I think they need to start allowing their games on multiple platforms like SEGA did with their Sonic games and other I.P's. If they still want to be successful the next major home console needs to be as good if not better than the XBone and PS4, they will need to get it done quick though so it can go up against machines that are already established.